If you are planning to sell your old car, then probably you must want to make the best possible money out of it. But if you are selling your car for the first time, then the process can be complicated for you. 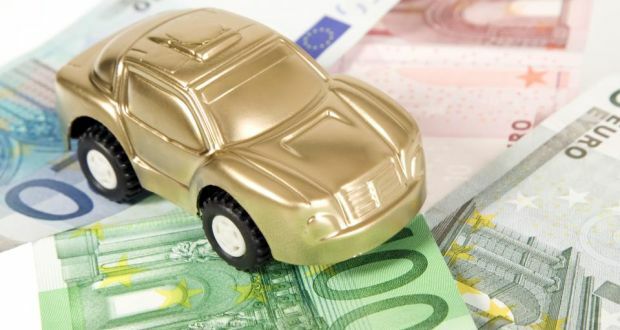 To make the process simple for you we have come up with some best implications that will help you to get the most money for your old vehicle. However, before that, check out how to bargain over a used car? Before you sell your car give it a good clean. This will help you to attract potential buyers and convince them that the automobile was taken care of properly. Even minor imperfections in your auto body like dings, scratches, dirt or stains will make it look cheaper. Investing a little time and effort in fixing up these small imperfections will help you get every dollar your vehicle is worth. Completely remove all your personal possessions from your wheels including things you are not selling with it such as MP3, GPS Player etc. Make sure not to leave important things such as owners’ manual, insurance papers and registration inside it. Check under the seats, glove box and trunk of your vehicle. Reducing the amount of clutter inside your automobile will also help you to make it look appealing to the old vehicle buyers. Give the inside of your vehicle a good vacuum. Also make sure to replace the dirty and worn out Floor mats and seat covers with the new ones. Make sure that the exterior of your old wheels should look spotless and shiny. This will help in increasing its worth. For this, make sure to get clean its headlights, hubs, taillights, mud flaps, hood and windows. Also make sure to get the tyres and wheels cleaned. If you like ostentatious accessories in your wheels that does not mean your potential buyers will like it too. Tinted windows and slammed surface may be cool enough for you, but it can shrink the pool of customers for your automobile. So, make sure to remove the unnecessary modifications in your automobile. If you find it complicated to clean and vacuum your automobile on your own, take it to a Professional Detailer. Although getting it detailed will cost you a few dollars, but it will increase your wheels’ worth at the end. Check out the handy checklist for preparing your car for sale. Before you finally begin to advertise your vehicle, get it inspected by a professional auto mechanic. Make sure to get the oil change if required. If your engine smokes when driving on roads or produce knocking sound on starting it, get it fixed up. Make sure that there is enough tread left in the tyres. In case if you find tyres to be worn out, get them replaced with new ones. Make sure to gather all the service records (previous as well as current) in order. Showing a well-maintained service history of the customers will give them a sense of satisfaction that the automobile was looked after properly. And, if you have not got it serviced, make sure to honestly inform the buyers about the problems (if any) with the automobile. With all this information don’t forget to mention the reason of selling it. Present your wheels in a way that will increase the pool of potential buyers for it. Take pictures from various angles and with a decent camera. Ensure that the pictures are presenting a clear side, front and rear view of tyres also. Upload the pictures in a logical order. Be realistic in fixing the price of your vehicle. It is always advisable to do some research online on well-known and reputable websites of auto selling industries. You can also visit well-known vehicle pricing websites such as Redbook. It will help you in fixing a negotiable price for your automobile. There are many ways of selling an automobile. You can sell your car online, trade it in through private dealers or sell it privately. While choosing the avenue make sure to choose one which will be profitable or gets good cash for old cars. When selling your wheels, ensures full safety to avoid being screwed. Choose a public place for meeting buyers. Never let them take your vehicle for test-drive alone, rather than accompany them. Don’t forget to check their ID proof and license to verify their identity. Never hand over the keys before getting the payment in full. If you are receiving payment through cashier’s check, make sure to confirm the clearance of check from the bank before handing over the keys to the purchasers. Have a look, how the freight forward scam works. Selling your old-wheels can be a complicated task especially if you are doing it for the first time. Though there are many sites which seem to be a great place to sell a vehicle personally. But the fear of getting screwed remains. To avoid this trouble, follow below listed implications, to get fair cash for your vehicle. Doing all this will make your vehicle look as good as new and it will increase its resale value. Present all the facts and features of your automobile, as well as the extras (if any) it has. This will flatter the potential buyers. Also describe precisely all the faults in its interior and exterior, with photographs. Give an accurate description of your vehicle: the make, color, model, mileage, previous repair history, insurance coverage (if any) and kilometers travelled. Pretentious and showy display may look cool to you, but not to others. For instance, tinted windows can minimize the group of potential buyers for your vehicle. Though it keeps your vehicles interior cool in hot summers. But it can lower down the resale price also. Also, lowering down your car’s surface may give a sporty-look to it, but can drastically shrink the pool of buyers for your automobile. Keep all the previous records of repairs in order. As one can maximize the cash for his automobile by presenting the documented proof that it was taken care of. It will also provide ease in the inspection of the automobile before coming to its settlement price. Set a limit for yourself and then increase your asking price so that you have opted to negotiate. Poor negotiations can decrease the number of interested potential buyers. Take your automobile for auto valuation to know its actual worth. Or you can even try us and we will give you all the information on what you can expect to pay for it. You can also consult a well-known Cash for Car Company to get the best value. -Don’t give heed to the demands of dishonest used car buyers, in order to avoid the pitfalls of scammers and frauds. Be careful when dealing with them, or you will get screwed up. -Always accompany new buyers for test-drives, and make sure to have a look at their driving license. Choose public locations for meetings. -Before you transfer ownership, make sure to have payment made in full. Hand over the vehicle to the buyer, only after confirming the deposit from the bank. Don’t agree for payments through checks and in parts as it takes several days in clearance of checks. -Keep a copy of the photo id of the new owner issued by the government and original invoice of the vehicle with you. -When the deal is done request the same to send you the copy of RC BOOK that has been transferred into his name. Hopefully, above-mentioned tips will surely help you and you will get the best deal without getting screwed. Finally, we would highly recommend to sell your car to local auto buyer and always keep in touch with them unless the whole legal paperwork been sorted.